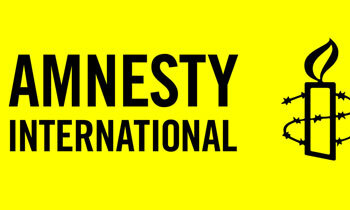 Though Sri Lanka continued to pursue commitments made in 2015 to the UNHRC, progress of implementing them has been slowed and there was evidence of backsliding, the Amnesty International (AI) said on Thursday. In its country report on Sri Lanka for 2017/2018, AI said commitments made by Sri Lanka in 2015 – through the UN resolution had not been implemented by the end of the year. “Sri Lanka failed to follow through on its 2015 commitment to repeal the PTA and replace it with legislation that complied with international standards. The amended Office on Missing Persons Act was passed by Parliament in June. It was signed by the President on 20 July but had not come into operation by the end of the year,” it said. The report said Sri Lanka’s constitutional reform process, initiated in 2016, also faltered as lawmakers differed over issues such as the fate of the executive presidency, the place of Buddhism in the new Constitution, and whether economic, social and cultural rights would be included in the Bill of Rights. By the end of 2017, the AI said Sri Lanka had not passed legislation criminalizing enforced disappearance in domestic law, despite ratifying the International Convention against Enforced Disappearance in 2016. “A parliamentary debate on a bill criminalizing enforced disappearance scheduled for July was postponed without explanation. In June, President Sirisena promised families of the disappeared that he would order the release of lists of those who surrendered to, or were detained by, the armed forces during and after the armed conflict that ended in 2009. The lists were not made public by the end of the year,”it said. One side complains that government is backsliding of commitments made to UNHRC. Other side complains that government is doing what international community wants. Government is receiving two contradictory accusations. Men, go and see the crimes of human massacres in Syria instead of poking your fingers in to the affairs of this country. Over 300 were butchered in this week alone and a fair number of those were children. Why don't you comment on those? To Sinhalese, human rights is the right of the Sinhalese to commit anything. The government now has had enough time to fulfill its contractual obligations to the world community. The UN should now take tough sanctions against Sri Lanka. It is sad that Sri Lanka will fulfill its obligations only through pressure. Ultimately, it's about fundamental human rights. Since animosities of the largest population group should not be considered. Whereever in world srilanka name indicate corruption and inhuman activities.the government of this country killing its citizens,next government continue it,previius.respectable lankans also treating like animals in other countries due to animal activities of ruling thugs. They do. They speak against western nations including Israel. You dont read or watch ai activities to help helpless,powerless,victimised people,ine day to too.you are too small to think west,concern of your country's people. Not even of Syria, Yemen, S.Arabia, Iran, Iraq, etc. When the UNHRC session gets near the anti SL lobby work overtime to convince the funders that their money is at work. The investigation is reasonable, as a Sri Lankan citizen i can witness Tamils were mass murdered during war time and no one can deny it. offenders should be punished. Isn't it good to have a truth and reconciliation commission and put everything out there within SRi Lanka and then the communities can work together? Why Sinhalese are deny it, even they suffered human rights violation from armed forces in two previous upraising! wondering what are the Amnesty and UNHRC guidelines on Syrian War against civilians? UN is nothing more than a paper tiger. Do not wonder, just educate yourself by reading their charter / mission and activities by visiting their website. AI - Another terrorist baby sitter. What has happened in the past is a lesson to be absorbed and Sri Lanka needs to move beyond the current mindset and find an acceptable resolution to the HRC of the UN. Once a treaty is made and agreed to., Sri Lanka needs to honor its obligations of the treaty. We are dealing with an international organization that whom we are a part-of and therefore, trying to deceive them only shows that as a whole group we are the same with synthetic ideology. This international org is not a body to boss around us. It is the LTTE propaganda and its funders behind this. SL does not need to bow down to unnecessary and disrespectful demands.